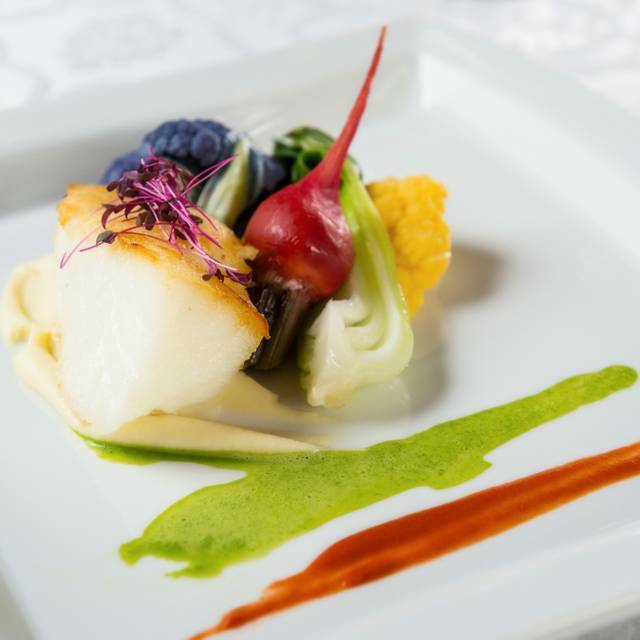 You must make reservations at least 5 minutes in advance of the time at Villa d'Este. 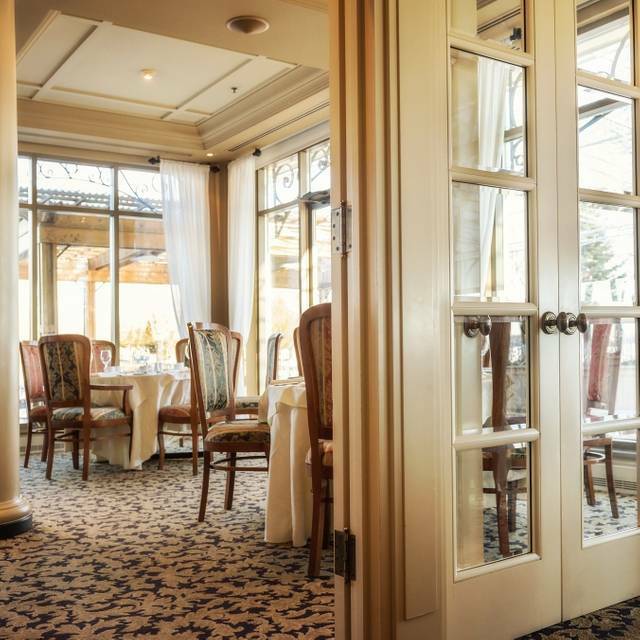 Villa d’Este offers an intimate dining area that can be used for private functions, awards and events. Our Maître D'hôtel can provide more information. Villa d'Este is located in the Château Vaudreuil Hotel in Vaudreuil-Dorion, Quebec. 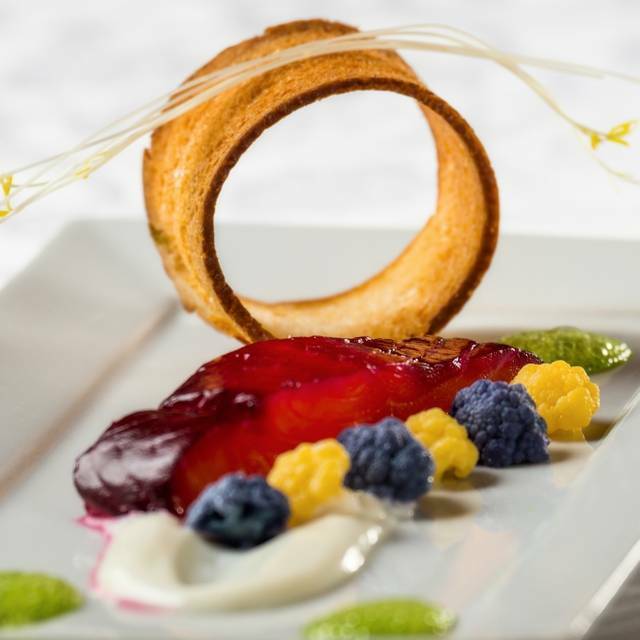 For an unparalleled dining experience overlooking the Lake of Two Mountains, the Villa d’Este dining room will arouse your taste buds. 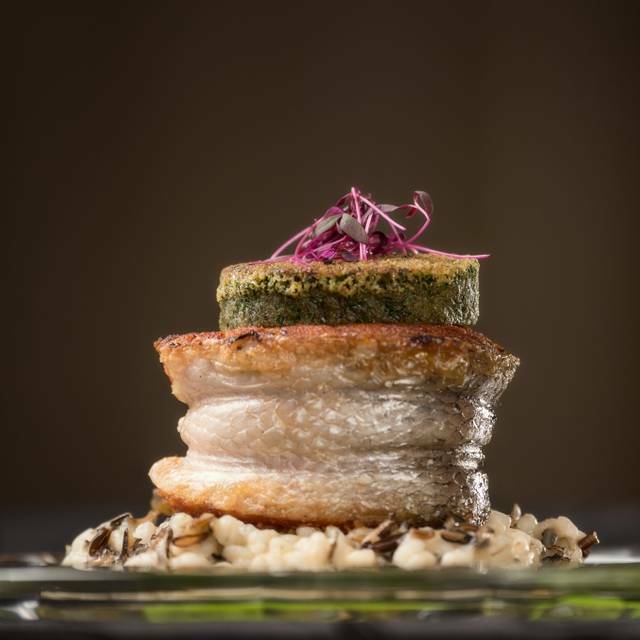 Our Chef has combined classical and contemporary Mediterranean cuisine, specializing in dishes from Northern Italy. Join us for lunch, dinner, or Sunday brunch. 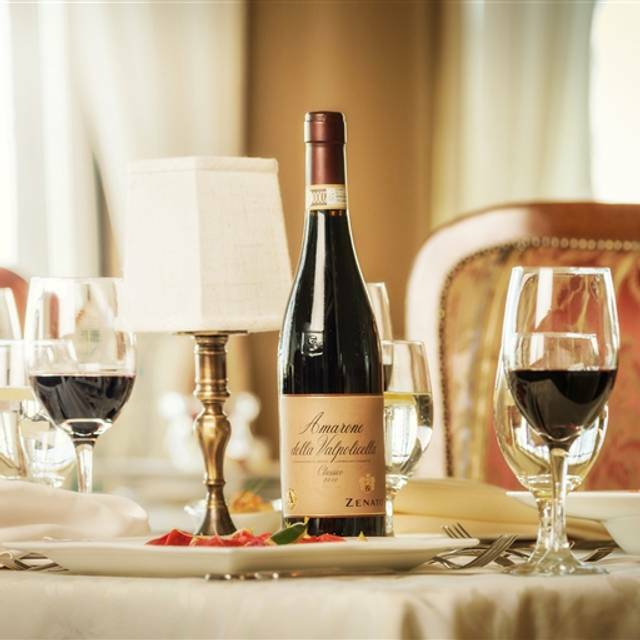 A superb wine selection from around the world compliments the delicate balance between food and wine. Consult our sommelier, David, for the best food and wine experience! Célébrez la fête des mères avec notre brunch concocté spécialement pour l'occasion! Great evening of dinner and dancing to a live band. Jean-Pierre served us with the best service and attention. Lovely brunch! David possède la parfaite personnalité pour faire vivre un souper exceptionnel à un couple qui fêtait un anniversaire. Merci beaucoup pour ce service dans le calme et le plaisir!!. Nous reviendrons l'an prochain même date. Very nice ambiance with very good service and excellent food. Service apprécié très bonne qualité de bouffe et super bien apprêtée!! Excellent food and service. Very pleased with the overall experience. Food was good but they've raised their prices over the last few months. Service was slow at the beginning until we complained. After that it was good. The ambiancce was Great, Service was good, Food was great, girlfriend Birthday she was very impressed. very well greated. It was my first time there without my parents, i enjoyed it very much, we are sure to come back. It was a very old friends birthday and we wanted a special treat. I had a reservation for 2 Saturday evening at 7 in the dinning room. They sit us in the bar area with the band playing for very loud. Our table was by the window and it was cold. I asked to get another table, the answer was impossible we aee full this evening. Start with a drink and we were served by a very nice individual. Some time later we order our meal. This is where the real trouble starts: Our waiter is now thew bartender and no one is even coming to our table . So I stop another and ask him if we could order a bottle of wine. His answer I am not your waiter but I will do this for you. Wine arrives all good. The the appetizers, food is fine but then we have finished our plates and for at least 30 minutes no one came to our table. So I saw the girl that had seated us speaking of the cold, no one serving us etc.. Answer I can't do anything we have so many people we are sorry. I get annoyed so the Director of Operations comes over, I explain all the scenario he to is sorry and decides to take care of us personally. Removes our plates and serves us the soup. My lady friend was still very cold imagine he offered her a blanket! So our diner was spoiled for all the above reasons and I asked for the check before the other courses were served . They billed me only for the wine.paid it and went back to our room. It was a very unpleasant evening. The Director sent us a bottle of cheap Champagnette and i left it in the room with a note to give it to the next unsatisfied customer. Enough said, totally disgraceful and unacceptable for an Hotel with 5 stars???????????????? Un excellent restaurant avec plusieurs choix intéressants, tant au niveau du vin que de la nourriture. Tout était très bon, le petit orchestre très approprié et le service vraiment bien. Une petite baisse de prix et j’y retourne avec plaisir. DISAPOINTING BRUNCH IN A FIVE STAR HOTEL AND RESTAURANT.THE PRICE DOESN'T REFLECT THE QUALITY.WE DIDN'T FIND A MAIN DISHES AND AT THE END THE WAITRESS TOLD US THAT THERE IS A MAIN DISH WHICH CONSIST OF BEEF OR LAMB BRAISÉ (NO BIG CHOICE AND ALREADY FULL WITH NON HOMOGENEOUS FOODS) SO ONE PERSON TOOK THE MAIN DISH FROM 4 PERSONS . Exceptional atmosphere, great food, the service was excellent. We booked way ahead thinking we would be in the dining room which we usually are very disappointed that we were seated in the bar area, when I booked there is nowhere to specify where you would be seated also the table was layed for seven people so we had to rearrange the the tables, we were the only group seated in the bar area other then that the lunch was very good and our waitress was very efficient. Excellent food and service. Our waiter JP was amazing. Excellent service, food and ambiance. With live music it becomes a great night out. Good diner choices for meals and wine; good service. We had Chateaubriand that was very good. I thought there was a lavish amount of food, but it was too much. It would have been sufficient to have the buffet and not the buffet and then an entire meal. There must be a tremendous amount of wasted food. The service was poor. The waitress was not attentive. This despite receiving a huge tip. The roast beef was over cooked and the sides were dead cold. The desserts were mediocre in quality. We made a reservation and requested patio seating. They gave us a table inside. We again asked for the patio and got a table there. There were many tables available. We were 4 people and we got 2 menus. The waiter did not come around for close to half an hour. We asked for the wine list and finally had to go to the bar to order wine. Throughout the meal the service was very slow, giving us the impression that our business was not welcome. The food itself was good when it came. The hot soup arrived cold and we had to send it back and wait another 10 minutes for it to be heated up. We had coffee after but were never asked if we want a refill. The only thing to recommend here is the view over the lake. The meal presentation could be improved. The wine, a red merlot, was served too warm. Très bon repas. Rapport qualité prix ok. Le service était excellent et attentionné. This place was better than I had expected. Friendly staff. David was our server and he was very attentive. The food was exceptional. This is definitely a place to go again. The only issue we had was that this should not be a place where families bring their babies or little kids. We were seated right behind this family that had a little girl with them that was obviously very tired. She was crying loudly and often, and the parents didn't even bother doing anything about it. Other than that, this is a place that we would go to again. This is nice brunch for a special occasion. Réception was very polite, with a smile, and helpful. Service was excellent. 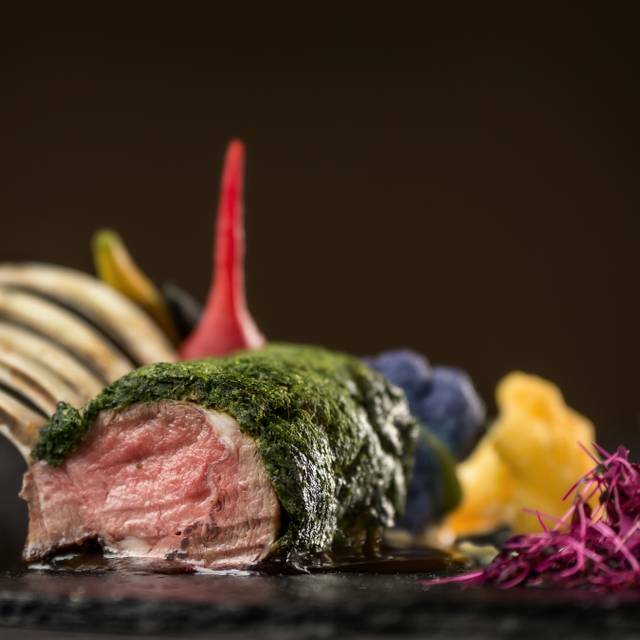 Unique experience, breathtaking and romantic scenery, outstanding food and service! The service is amazing and never any long lineups. The piano player added to the ambience. 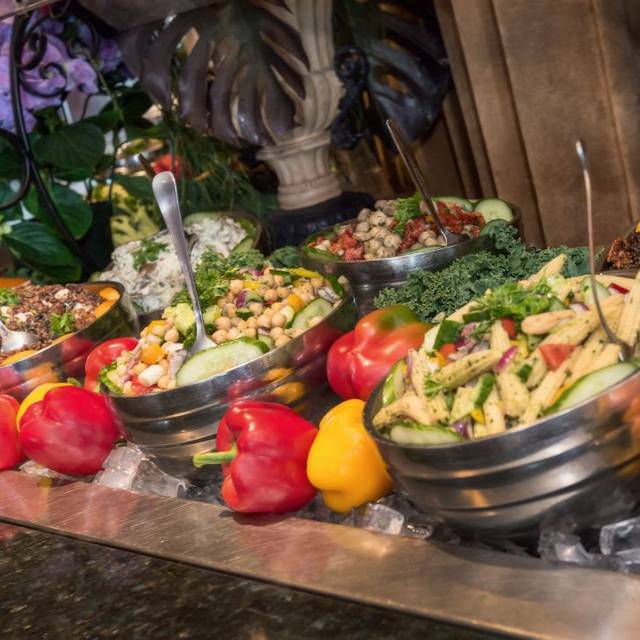 We did not know what some foods at the buffet tables were, especially some salads and other foods. it would be nice to label these. Especially if people have allergies like shell fish, some salads you could not tell what they were or if there was any seafood, so my daughter felt limited to what she can try. Other foods we just didn't know, is it a roll with jam? or meat? is it pasta or just a dough? something was covered in cheese but what was it? and since we don't like to waste food, there was a lot of food we did not try. But a great variety to please everyone. Will definitely go back! I would recommend for a nice romantic night ,it has a beautiful dance floor it finish the night with . Mandy was great, they made us bring our own cake as we were celebrating a birthday. The waiter was very nice as well. Thank you! We were very happy with the food, the service and the ambience. You made our 45th anniversary very special. Thank you. We had business dinners two evenings in a row as well as lunch at Villa d'Este. The staff was very attentive , made some great suggestions and had some laughs with our group. We did not feel rushed as the staff let us take our time to enjoy the food, company and atmosphere. The food was spectacular and the pricing was quite reasonable for quality of the food. Chilean sea bass, crepes Suzette, risotto, gazpacho....sigh....it was all VERY delicious! The food was very good. Service was great. The ambiance extraordinary. And the view stunning. 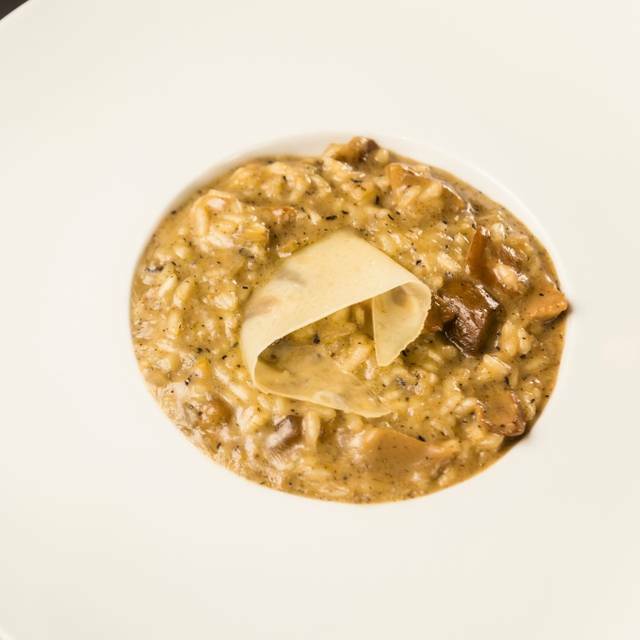 We had the best risotto ever eaten, even in Italy. We really enjoyed our brunch and it always feels very special when we go there. It seems the food arrangement and food choices have changed a little bit and this I liked very much. I am glad someone thought to include biscotti as part of the desserts as this is all I really need to enjoy a nice cappuccino. Pas du tout impressionné par la nourriture heureusement le serveur et le sommelier était au top. Lovely birthday lunch on water. Impeccable service. Nous fêtions un anniversaire ainsi que des retrouvailles familiales. Un moment merveilleux et un excellent brunch. Service impeccable. I had BBQ dinner which is available each Friday . Food was great. Atmosphere was excellent. Service good. Prices reasonable . Beautiful setting near the water. Went for breakfast with my mom. Had everything you could want for breakfast- French toast, croissants, eggs, sausages, bacon, toast, yogurt, great fruit and great coffee. My husband and I love coming to Villa d’Este for lunch, specially for Sunday brunch. In the past we have celebrated few family special occasions which we enjoyed very much. 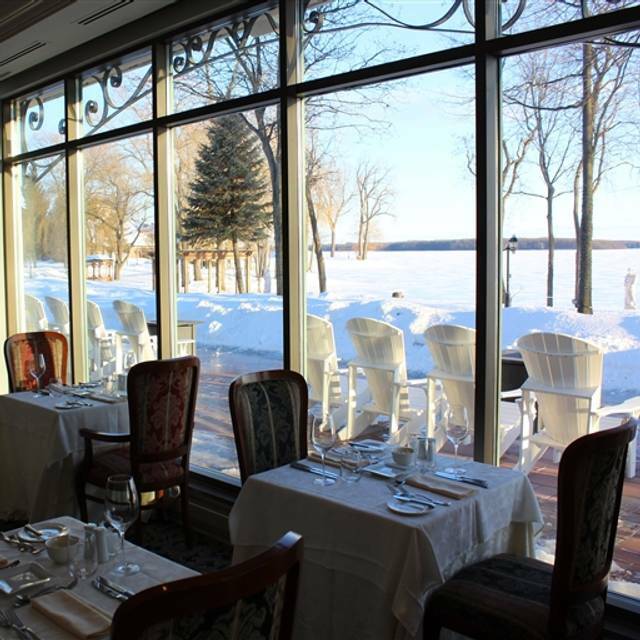 The ambiance and the scenery at Chateau Vaudreuil is unique.